This should be the first question you ask yourself when you create a website for your business. If you are a retailer you would want your website to help increase revenue, if you’re a nonprofit you would want to increase awareness and funding. Understanding what your website goals are involves understanding your business goals and then translating that effectively to the web. 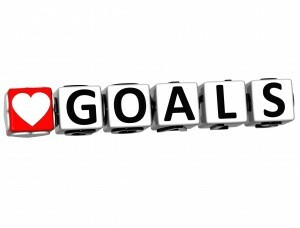 Knowing what your goals are informs the look and feel of the site, the layout, and site content. Once you determine what the goal of your website is you need to encourage site visitors to reach that goal, or convert on your website. Two very important inclusions in your website are the understanding of visitor personas and establishing a sense of trust. First, consider the persona types of the different visitors to your website. Using the examples above: if you’re a retailer you probably have loyal, return customers visiting your site as well as new visitors who have never purchased your products before. If you’re a nonprofit you may have people interested in volunteering and maybe one persona is potential donors looking to learn more about your organization. Your website needs to be able to speak to the multiple persona types in both the design as well as the copy and conversion elements. Second, the website needs to relay a sense of trust to its users. Depending on your industry and what your site goals are this may be showing visuals of secure payment processing logos, offering testimonials from previous clients, case studies, sharing current customer logos, and/or offering bio pages for staff. Understanding the different visitor personas you should have a better idea of the actions you want your users to take. The primary goal of the site may be to sell products if you’re a retailer or get a donation if you’re a nonprofit. Make those calls to action front and center for your users (you’ll hear web designers use the phrase “above the fold”). Keep in mind that if visitors are not ready to take the primary call to action you want them to, they can still take actions that take a step toward reaching that primary goal. Keep secondary calls to action on your pages in addition to primary goals. If you’re a retailer and the user isn’t buying something on your site during their visit, use secondary call to actions like asking them to sign up for a newsletter. This is a great place for a new customer to to enter into your sales funnel. You can send them an offer via email and incentivize their return to your site to purchase in the future. Creating goals for your website takes some time and thought, but in the long run it is better to have a clear understanding of your website’s role in reaching your business goals. More and more people are turning to the web for things like shopping online instead of going to the mall or to research instead of calling and asking directly. Utilize the web to your business’ benefit and ensure that your website design, layout, and content speak to your business goals.